The Fatimid Caliphate was an Ismaili Shia Islamic caliphate that spanned a large area of North Africa, from the Red Sea in the east to the Atlantic Ocean in the west. The dynasty ruled across the Mediterranean coast of Africa and ultimately made Egypt the centre of the caliphate. At its height the caliphate included in addition to Egypt varying areas of the Maghreb, Sudan, Sicily, the Levant, and Hijaz. 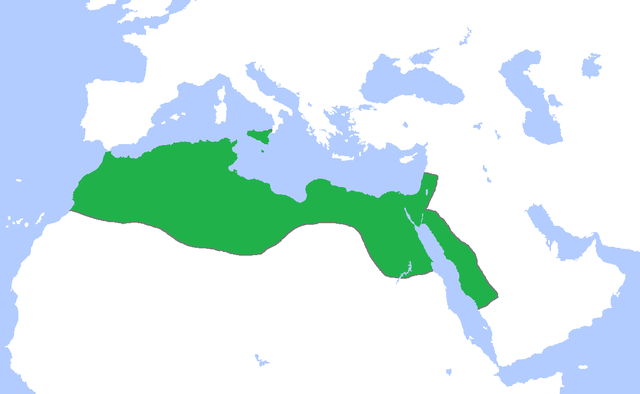 During the late eleventh and twelfth centuries the Fatimid caliphate declined rapidly, and in 1171 Saladin invaded its territory. He founded the Ayyubid dynasty and incorporated the Fatimid state into the Abbasid Caliphate.